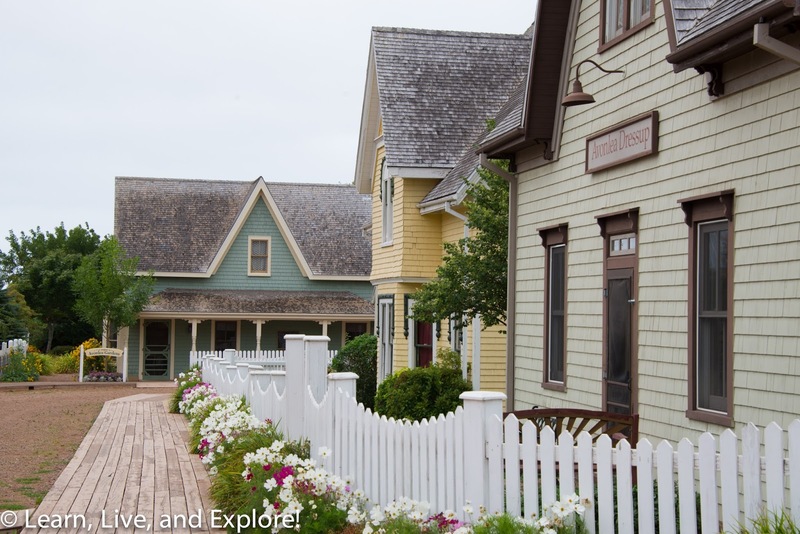 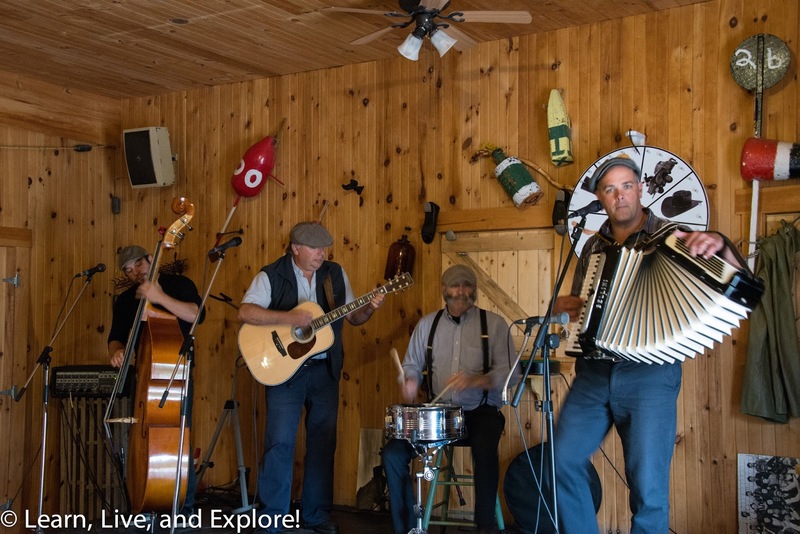 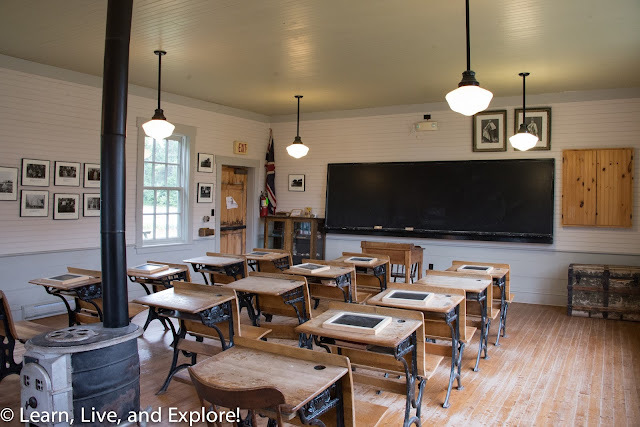 Touring Anne of Green Gables' Canada: Part 2 - Prince Edward Island ~ Learn, Live, and Explore! An Anne of Green Gables themed road trip is not complete without visiting the beautiful Canadian province of Prince Edward Island. 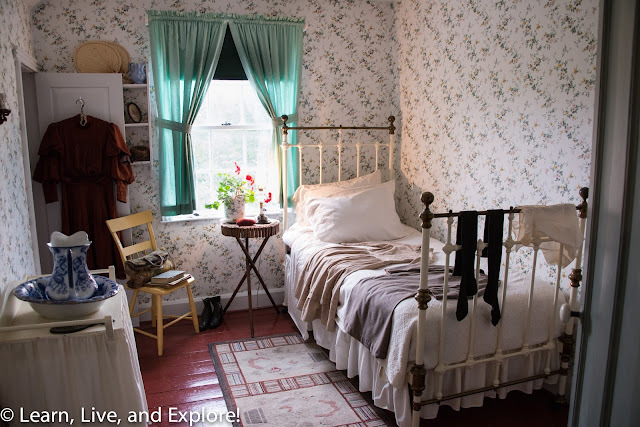 This was the home of Lucy Maud Montgomery until she married and moved to Ontario at the age of 36. 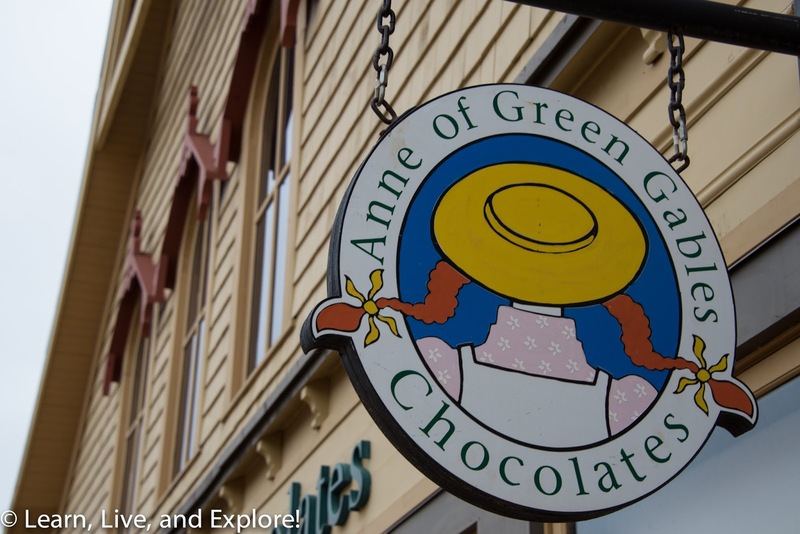 She wrote her first two Anne books here and made it the home of her beloved Anne characters. If you've seen the three Anne of Green Gables movies, while a majority of the scenes were filmed in and around Toronto (as I highlighted in my previous post), there are several visual requirements that had to be filmed on PEI, including the red sandstone lined beaches and ocean views. 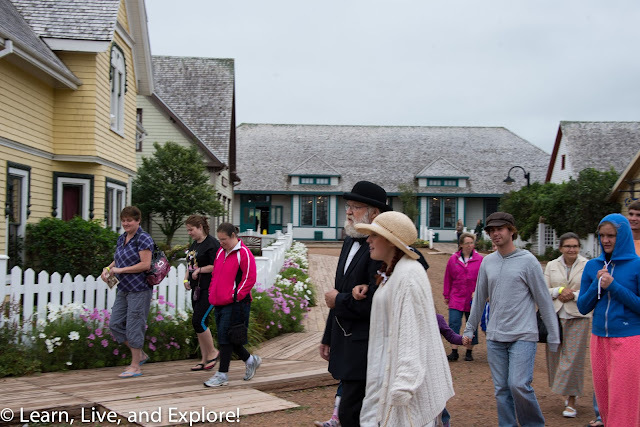 And while our original intent was to go to the island to solely soak up the Anne sights, we were pleasantly surprised by the beauty of all of the scenery - from the farms to the beaches, from the lighthouses to the quaint "big city" of Charlottetown - and how friendly the islanders were with their surprising and fascinating accents that sound slightly Irish. 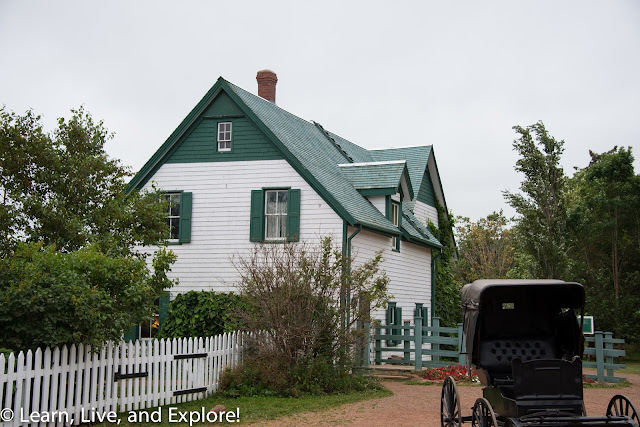 Located in Cavendish, where Lucy Maud Montgomery lived with her grandparents, the house that inspired Green Gables actually belonged to cousins of her grandparents - the McNeils. 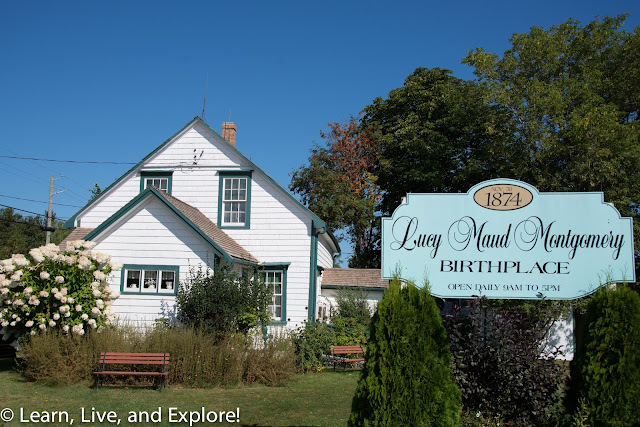 Maud spent a lot of her time hanging around this house, since she lived just up the road. You can visit that site as well, but it's just the foundation of the home - nothing else remains. 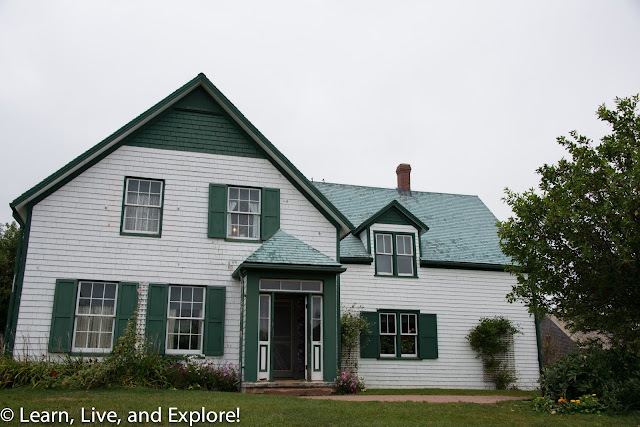 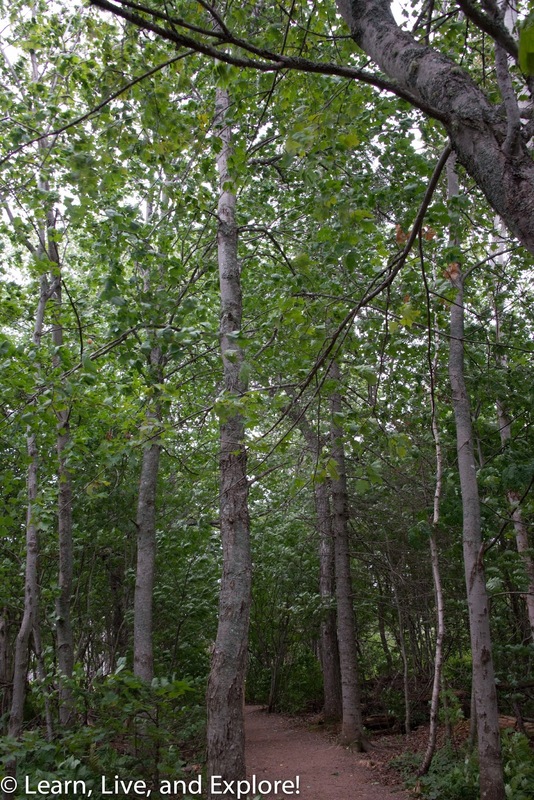 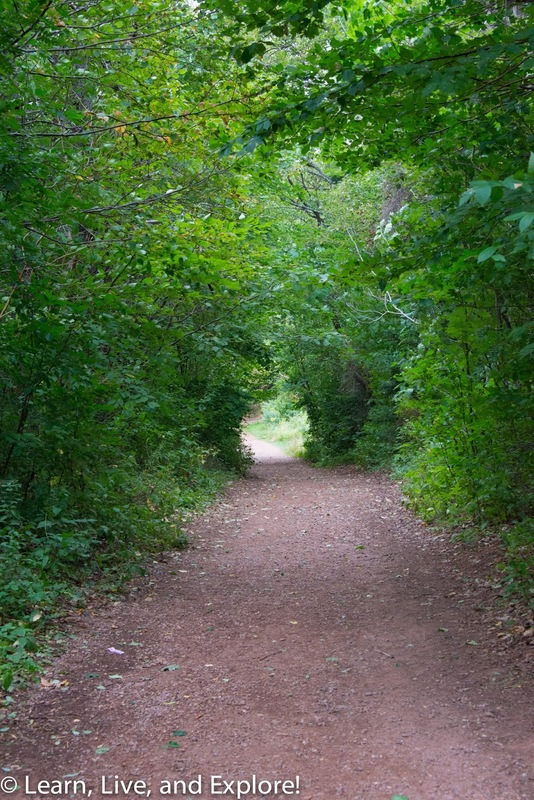 Two of the areas on the Green Gables property were some of Maud's favorite places to let her imagination run wild, and they ended up playing roles in her Anne books as well - "Lovers Lane" and "The Haunted Wood." 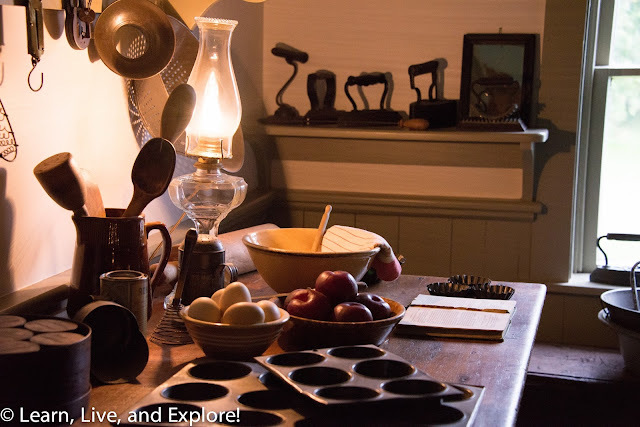 Time to make some plum puffs? This attraction in Cavendish is meant to replicate a small town similar to the Avonlea described in the Anne books. 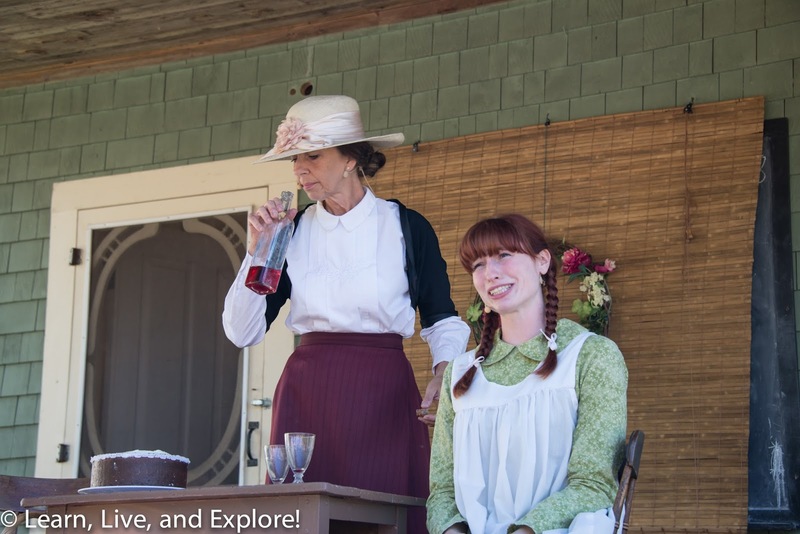 Every day during the season (July-August, I believe), there are actors playing each iconic "Anne" role, with a daily program including the reenactment of popular scenes in the first book: Anne waiting for Matthew at the train station, Anne meeting Rachel Lynde for the first time, Gilbert teasing Anne in the classroom, raspberry cordial, and the lost brooch. 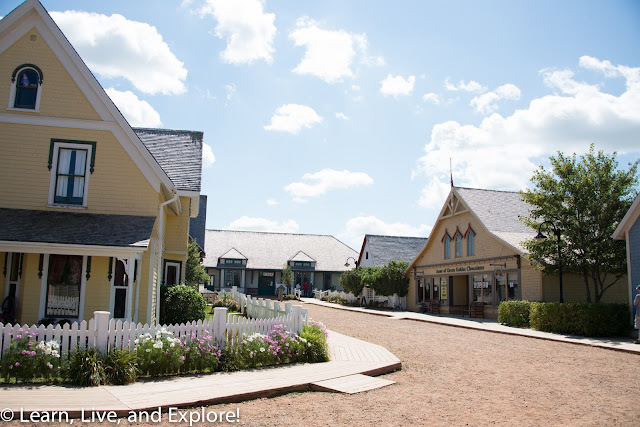 In between scenes, the actors wander around the shops and buildings, interacting with you and fellow actors while still remaining in character. We were excited to get a video of the Anne declaring my friend her "kindred spirit." 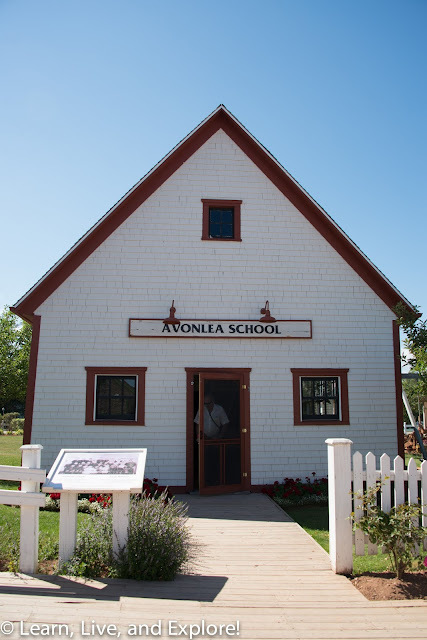 Some of the buildings in the village are historical buildings that have been moved from their original sites to the village, and others are built specifically for Avonlea. 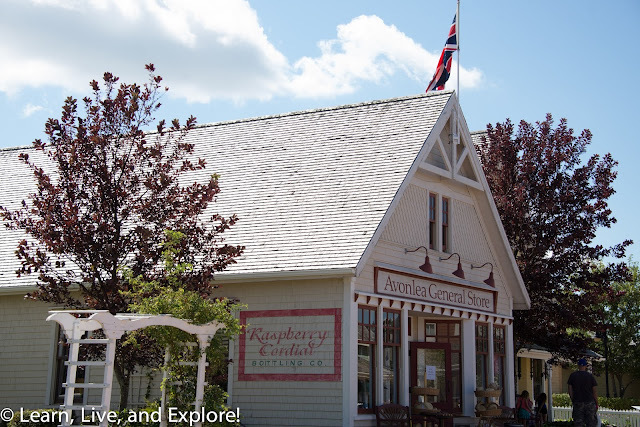 Most are now souvenir shops, but one contains a bunch of period costumes that you can try on and take photos pretending to be Anne and her friends. 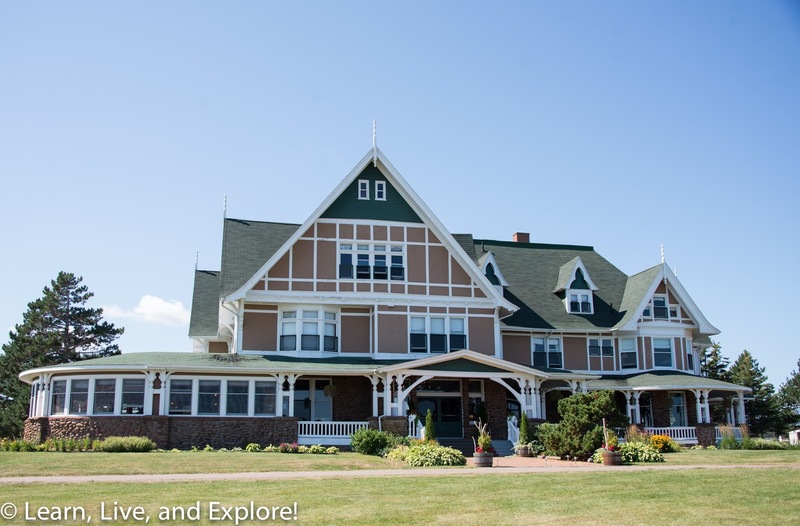 This historical hotel was featured in the opening scene of Anne of Green Gables the Sequel. 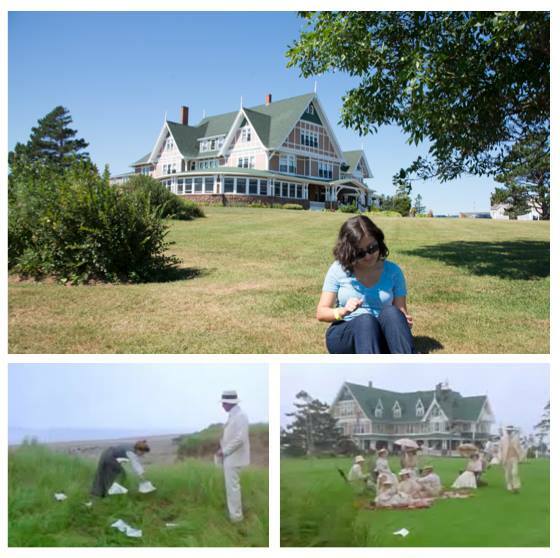 You can see Anne writing by the beach, then falling asleep while her manuscript papers fly away in the breeze. 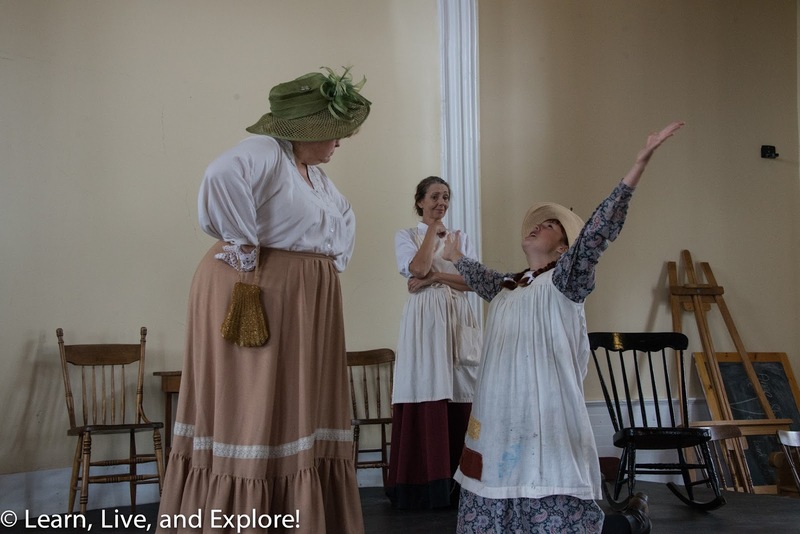 Next, the character of Morgan Harris is at a garden party at the hotel when he sees Anne trying to collect her papers from the grass, then offers to help. 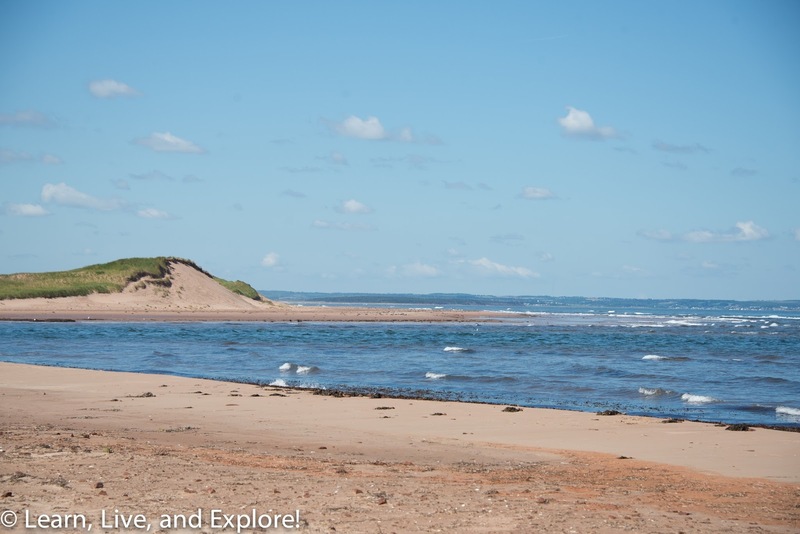 Having now been to Dalvay-by-the-Sea, it's clear that the hotel and the beach scenes were filmed in two different locations because the hotel is not on a beach but on a lake by the beach in the Prince Edward Island National Park near Stanhope. Speaking of Stanhope, the Stanhope-by-the-Sea resort was where they filmed Anne's recitation of "The Highwayman." 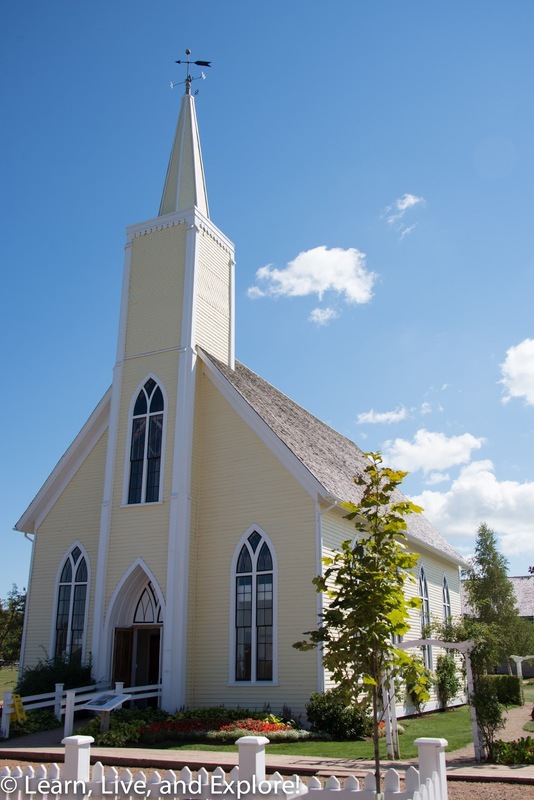 Unfortunately last spring (2013), a major fire burned that structure down. Two other sites to visit on PEI are Lucy Maud Montgomery's birthplace, where she lived before being taken in by her grandparents, and the Anne of Green Gables Museum. 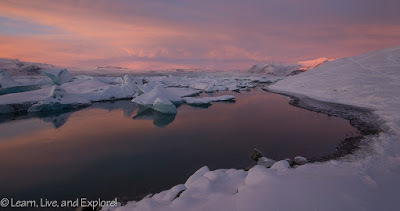 We opted to skip these two sites due to lack of time. 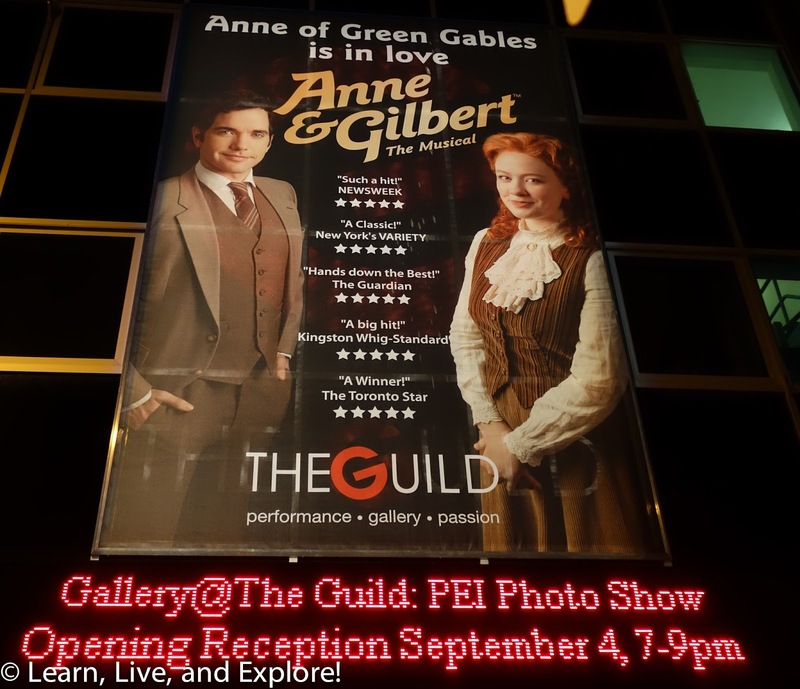 One of the best decisions we made was to attend a performance of Anne & Gilbert, the musical. 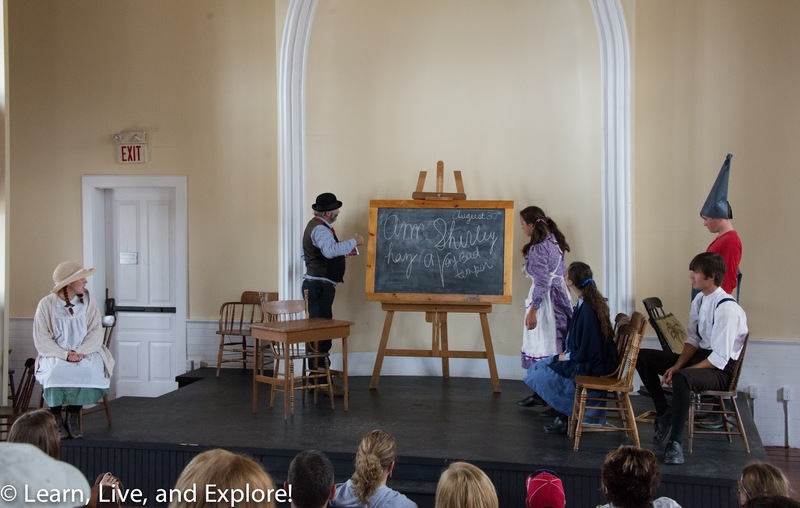 It was a small production, but the talent was big! We bought the soundtrack and played it several times on the road trip back to Washington D.C. 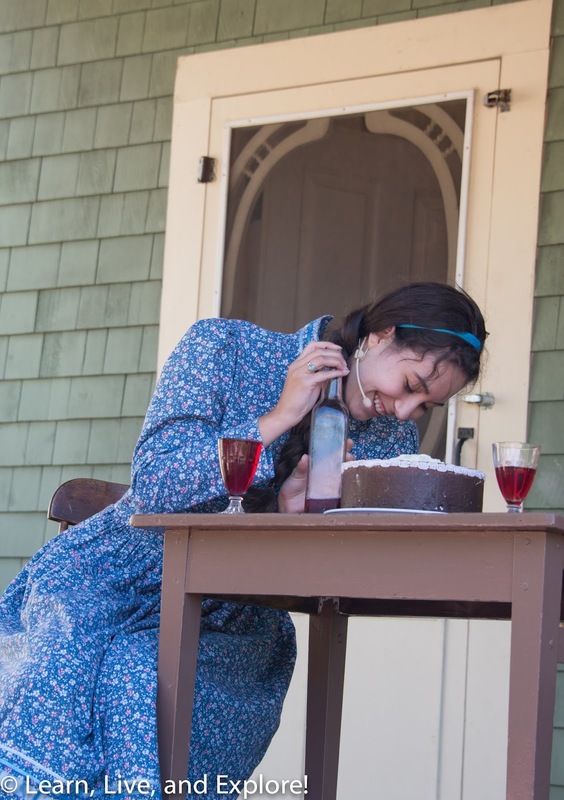 This summer was its 8th year of production in Charlottetown, so I would say the odds are good that it will be back next year once it ends its current run. There is also the Anne of Green Gables musical, but it was not showing the weekend we were there. 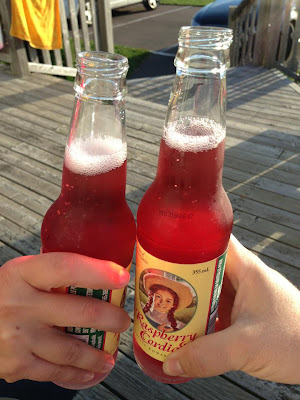 And a toast to a fantastic end of a long All Things Anne tour of Canada...with Raspberry Cordial of course!